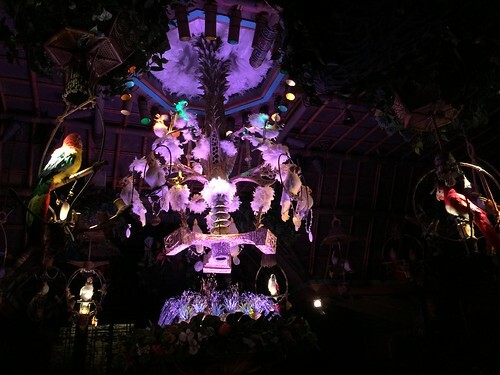 Day Six – Pictures from Disneyland. Mr. Toad's Wild Ride is a dark ride at Disneyland Park, also formerly located at the Magic Kingdom. 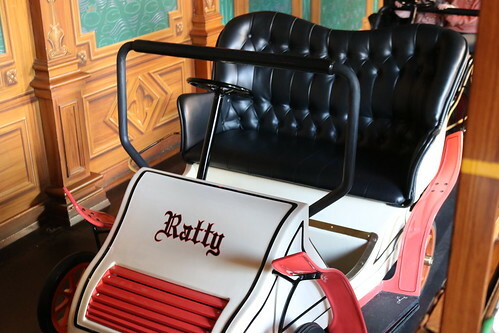 Originally planned to be a roller coaster, it became a dark ride attraction because Walt Disney only wanted attractions that were appropriate for all ages. It is one of the few remaining attractions that was operational on the park's opening day in 1955 (although the current version of the ride opened in 1983). 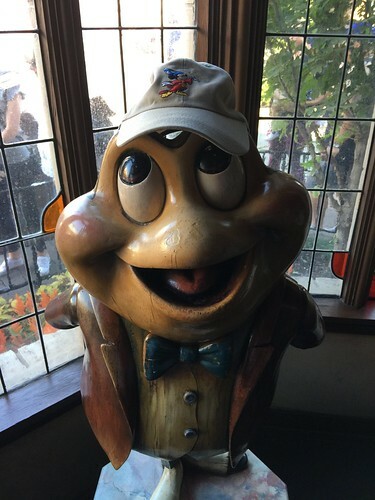 The ride's story is based on Disney's adaptation of The Wind in the Willows (1908), one of the two segments of the film The Adventures of Ichabod and Mr. Toad (1949). It is currently operating in Fantasyland. Mr. Toad in the queue to his attraction at Disneyland. 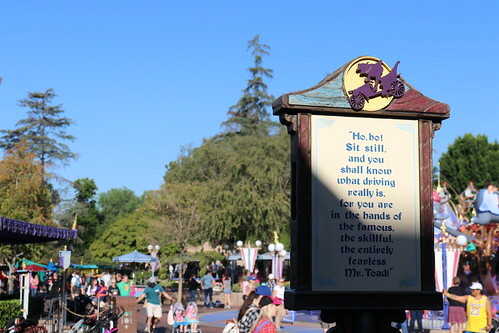 Mr. Toad's Wild Ride is a dark ride at Disneyland Park, also formerly located at the Magic Kingdom. Originally planned to be a roller coaster, it became a dark ride attraction because Walt Disney only wanted attractions that were appropriate for all ages. It is one of the few remaining attractions that was operational on the park's opening day in 1955 (although the current version of the ride opened in 1983). 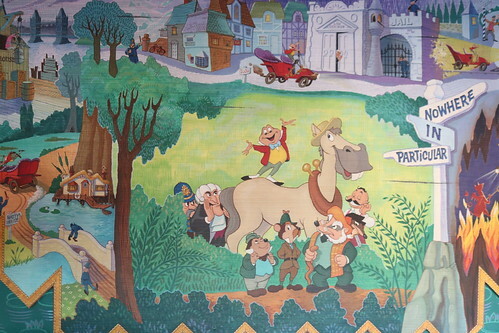 The ride's story is based on Disney's adaptation of The Wind in the Willows (1908), one of the two segments of the film The Adventures of Ichabod and Mr. Toad (1949). It is currently operating in Fantasyland. 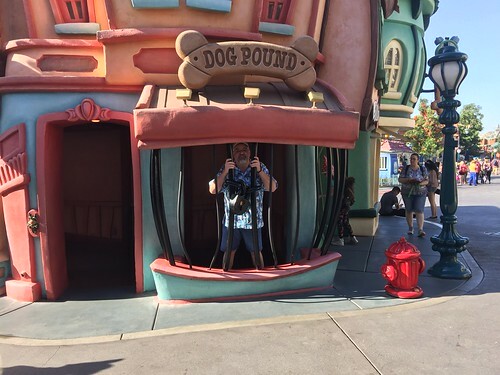 Scott finds himself in the Toontown Dog Pound at Disneyland.